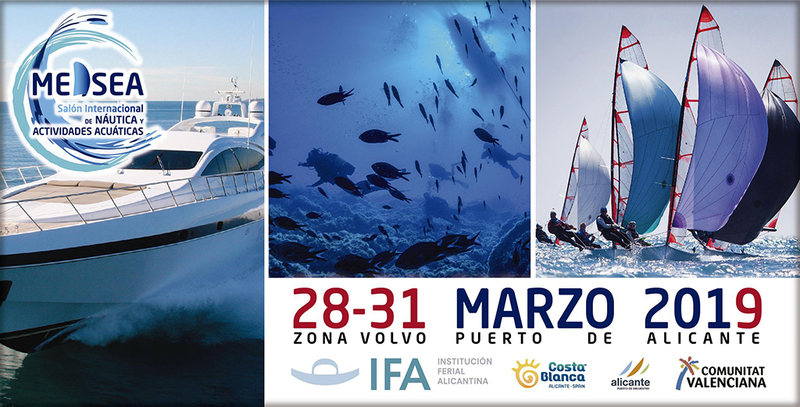 The third edition of this water activity tourism event takes place in Alicante port Volvo area (10th quay) from 28 to 31 March. The event showcases Alicante water leisure and sport activities such as diving, apnea, snorkel, underwater fishing, surf, windsurf, kitesurf, paddle surf or kayak to mention a few. Over a hundred exhibitors and institutions wil have stands at ‘Medsea Costa Blanca’ welcoming visitors who wish to find out more about their products and services. Coinciding with ‘Medsea Costa Blanca’ is the first edition of ‘Alicante, Puerto de Encuentro’ (12th and 14th quay). An event conceived to keep alive the spirit of ‘Sailing Around the World’ between each Volvo race. There will be a complete programme of activities set up in five areas: children, sports, recreational activities, e-sports & gaming and a concert area. These two events promise to offer a great day out for all and a good opportunity to visit Alicante. Thrusday, March 28: from 10:00 to 20:00. Friday, March 29: from 10:00 to 20:00. Saturday, March 30: from 10:00 to 21:00. Sunday, March 31: from 10:00 to 18:00.